Who is the neighbourhood character? As an enthusiastic student of music, producer, instrumentalist, vocalist, and DJ, Ari Robey-Lawrence a.k.a The Neighbourhood Character has collaborated with a range of artists and performers across the EU, UK, and US. Spinning a range of genres, from driving house of past & present, to broken-beat, disco and electro; and soulful and ethereal techno sounds, Ari is currently active in Berlin‘s music scene, playing at a range of local events & spaces including Gegen Berlin (Kit-Kat Club), Tresor’s Globus and +4Bar, Hoppetosse, Schwuz, Crate Diggers Berlin (Prince Charles), and Menschmeier, opening for artists such as Volcov, Lakuti, Tama Sumo, Lars Bartkuhn, and Paul Johnson, among others. Since 2015, the Neighbourhood Character has performed regularly at Freerotation Festival (Wales, UK) alongside Aybee & Afrikan Sciences, and, with Afrikan Sciences as Old Shady Grady and the Neighbourhood Character (OSGATNC). Their Tales from Caturday EP was released in 2015 by Uzuri Recordings, followed by their Tangle Transmogrifier EP on Jordan GCZ’s Off Minor Recordings. In addition to pursuing interventionist research around politics and praxes of marginalised electronic producers as a Goldsmiths Ph.D candidate, The Neighbourhood Character hosted a program on Berlin Community Radio where she participated in the first cycle of INCUBATOR, is a resident DJ and program coordinator/ core organiser at Raumerweiterungshalle since 2013, and acts as a core member of the newly-launched wood // work collective, which released their first full-length album, IYAPO, in November 2017. Her solo debut, Street Food LP, is forthcoming. In the winter of 2014, three friends embarked on a series of annually-recurring jam sessions at a studio in Wedding, Berlin. Emphasizing a loose improvisatinal collaborative process, these recordings offer a raw and emotive range of nuances that emerge from a site-specific musical dialogue. Available on Bandcamp. Synchron-3 T.A.E. is Ari Robey-Lawrence, Eric Porter, and Thomas Svensson. 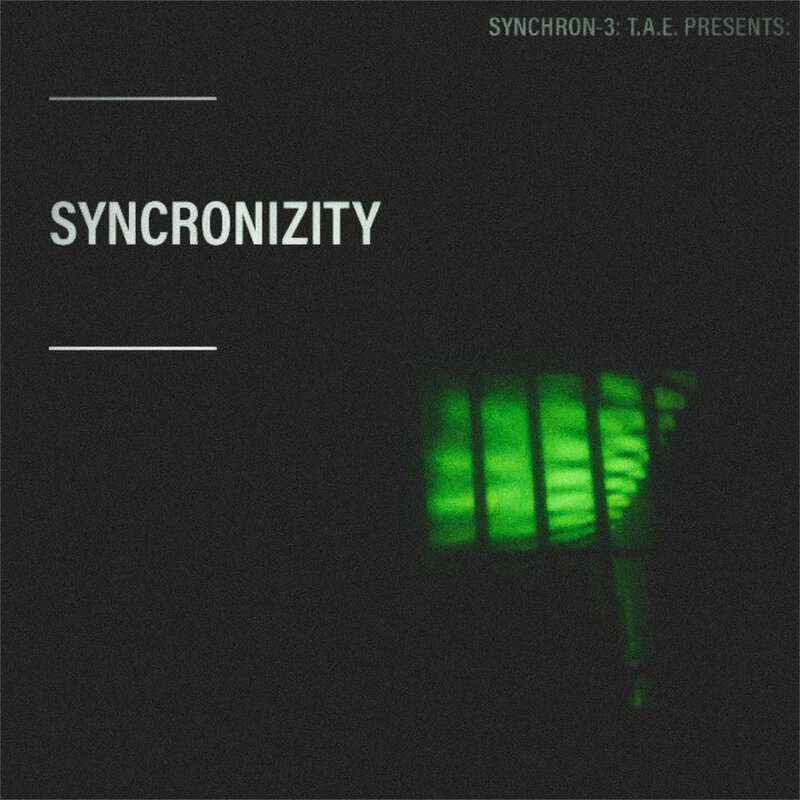 12.2018 - Syncronizity EP now available on Bandcamp. 03.2018 - Tangle Transmogrifier EP now available for pre-order via Rush Hour. 02.2018 - "Papa Liebt Dich" reviewed in Nachtkritik and Der Tagesspiegel. 11.2017 - wood // work collective announce debut EP, Iyapo, available digitally on Bandcamp. 05.2016 - The Neighbourhood Character selected as one of four artists for Berlin Community Radio's first cycle of INCUBATOR. "The Lesson // Recovery" - original composition created for master's research in Visual Media & Anthropology at Freie Universität Berlin, 2014. Shaking Habits is an ongoing queer auto-ethnography that aims to enumerate the manifold strategies of marginalised electronic musicians and performers who incorporating multi-cultural politics and praxes of difference into their creative persona, or their approach(es) to work in the dance music industry. It works to illuminate links between artistry, politics, socio-cultural positioning and media to determine how queer, trans, POC, and Black cultural workers evade or resist co-optation by increasingly corporatised electronic music media platforms. How do mediated representations of intersectional creative activism reflect or or relate to physical, experiential interactions in within these real-world communities? How does the disproportionate capital injected into the dance music scene by growing mainstream interests affect emerging artists working from various intersections and branches of the dance music industry? How are radical rhetorics or aesthetics of political 'difference' (e.g., feminist discourses) appropriated by established agencies, entities, or networks to advance commercial success in normative ways-- and to what effect? And how are these pressures, stereotypes, and reductions being resisted by contemporary musicians who experience oppression as part of their daily life? A dialogue about systemically racialised, gendered or otherwise identity-centered corporate tactics that restrict the cultural - creative agencies of underground / independent phenomenons (and their pioneers), and the lack of diverse authorship regarding these issues in the cultural commons of dance music, as well as academic communities, is much needed. Shaking Habits aims to understand the importance of informal interchange (i.e., artistic collaboration), development of creative networks as processes of empowerment from the margins within the steadily globalising community of electronic and dance music producers. By exploring the range of ways which disenfranchised producers negotiate and honor their politics via their praxes, the project manifests an effort to explore creative-cultural initiatives and endeavors in dance music that are situated from non-dominant / non-patriarchal frames of reference. Through highlighting intentional strategies for mobility, coalition and empowerment among marginalised dance musicians and DJs, Shaking Habits aims to produce and further contribute multi-vocality to a growing body of diversified knowledge(s) in the wider discourse of race and gender in creative cultural industries. A series of interventions are envisioned to mark the culmination of this research, in part to reflect the inextricability of research, politics, and practice. supervised in the Department of Media and Communications by Dr. Anamik Saha, convenor of MA Race, Politics, and Media at Goldsmiths College of London.